WEST BLOOMFIELD TOWNSHIP, Mich. - Two 20-year-old Detroit men were taken into custody after a smash-and-grab at a Costco store in Commerce Township and a wild police chase, according to authorities. Deputies were called at 7:01 p.m. Monday to the Costco at 3000 Commerce Crossing. The store manager said two men, one armed with an ax and the other armed with a sledgehammer, had walked into the store and went to the jewelry display case. Store officials said the men broke the display case and ordered employees not to move. They took jewelry out of the case and fled the store, police said. The men left in a silver Nissan Sentra that had been stolen out of Wayne County, officials said. West Bloomfield Township police saw the car and tried to execute a traffic stop. Officials pursued the car when the driver refused to stop. 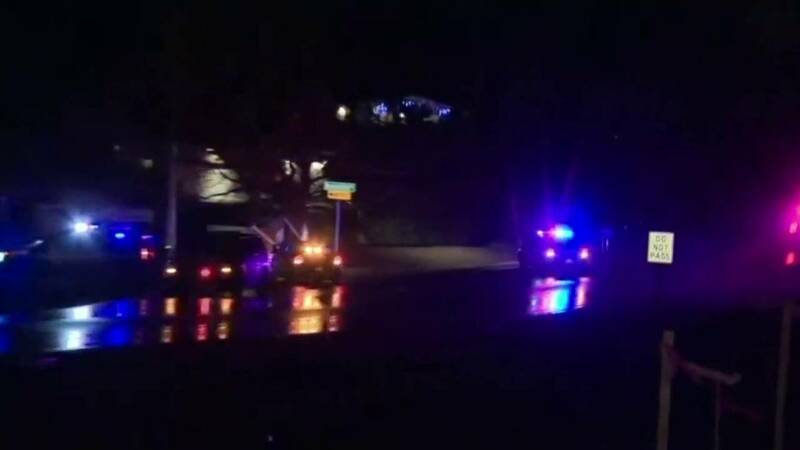 Multiple vehicles from the Oakland County Sheriff's Office were called to help the West Bloomfield Township officers. When the car approached the area of West Maple and Inkster roads, the driver left the roadway and drove through backyards of private homes, according to police. The car struck the side of a home, continued a short distance and hit a tree, police said. The driver and the passenger got out of the car and fled on foot, according to officials. Officers arrested the passenger, but the driver escaped. Deputies set up a perimeter with several police departments in the area. The driver was spotted by officers and there was another foot chase, police said. The man got away again, authorities said. Police later discontinued the search and replaced the perimeter with undercover officers. The driver was seen walking near the road and was taken into custody, police said. Authorities believe the men have been involved in other incidents around the tri-county area. Both men were taken to the Oakland County Jail.